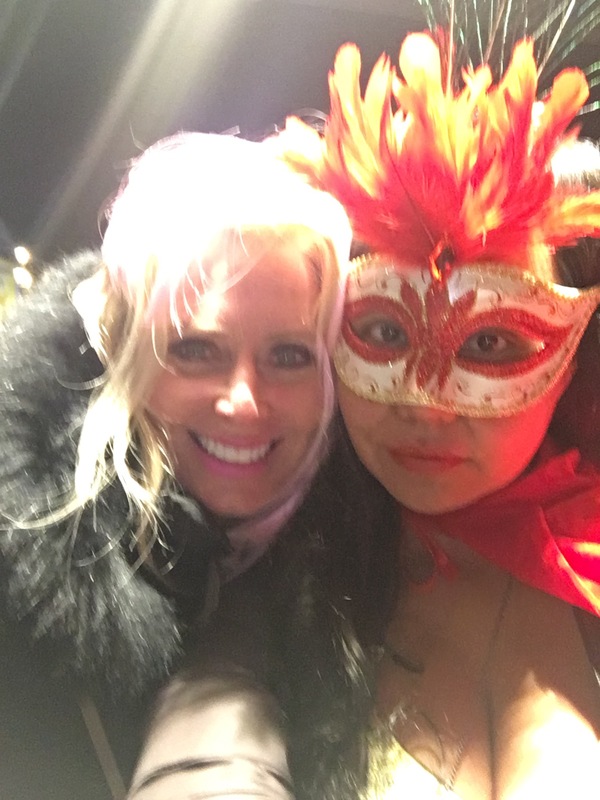 How to describe Venice’s Carnivale is like a high class Halloween party. 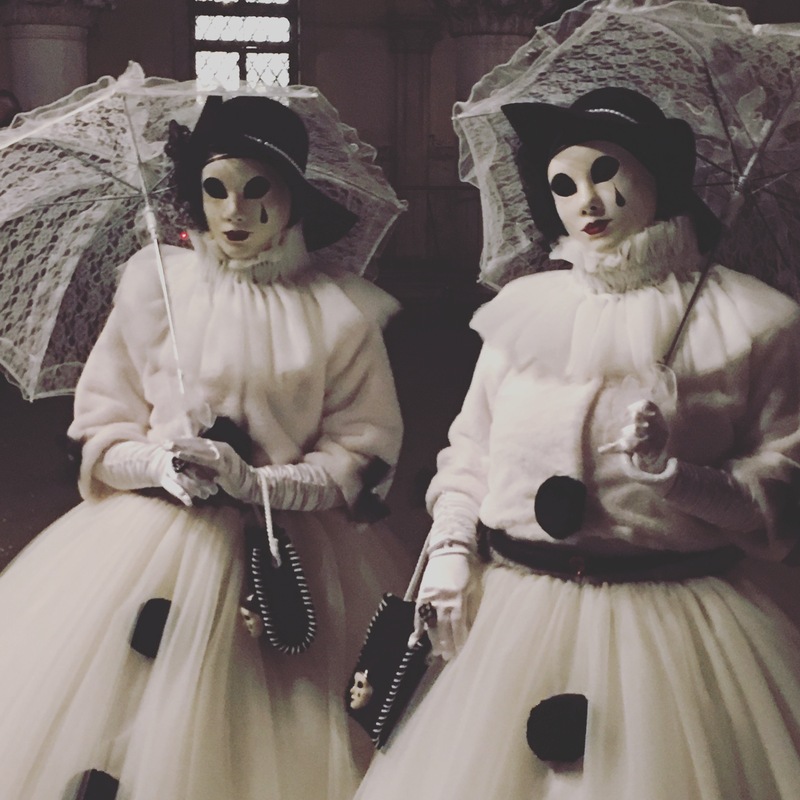 The costumes are elegant , people pause with patience to pose for photos, and the crowd is calm. I am sure there are expensive after parties to attend, but several hours here was perfect. Strangers share smiles and offer advice. As we looked into a restaurant’s window , a patron waved her finger NO informing us the food was bad . We listened . As we rode the water taxi from Murano to Venice, people initially stared . My friend and I appeared to be the only ones dressed up . I had been informed staring was normal . I accepted it. As the ride continued , and we neared Venice . People began pulling out the masks they had purchased from earlier in the day. 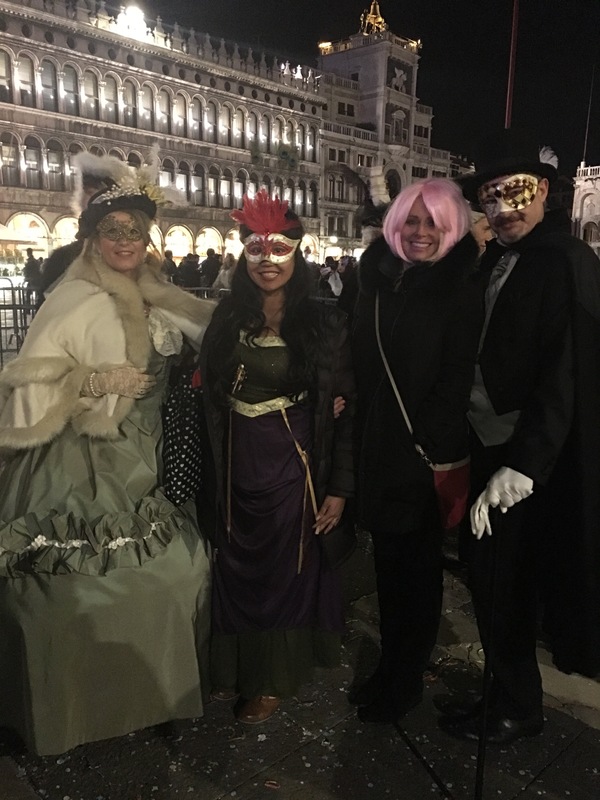 A 50 something Sardinian woman next to us told us her and her sister and sister in law come every year for Carnivale . They leave their husbands at home and bond so they can shop and explore Venice guilt free . I can see why people want to return, year after year. The vibe is a tame party. It could get out of control easily. This place is more about parading around with pride in your costumes, sharing it with other citizens. 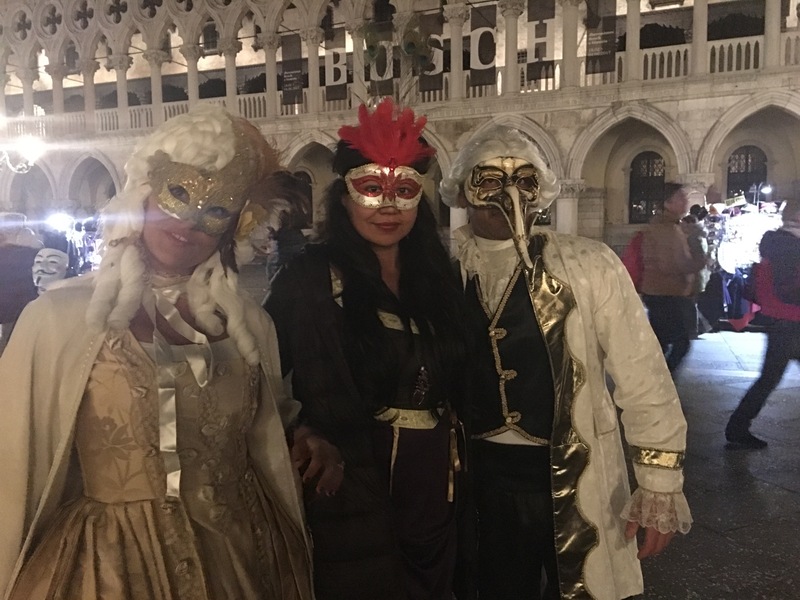 For a moment during the concert in the San Marco Plaza, all seem united as “we are family” was sung to a sea of masked faces. We are family and all momentarily connected . It feels as if you are in a dream. 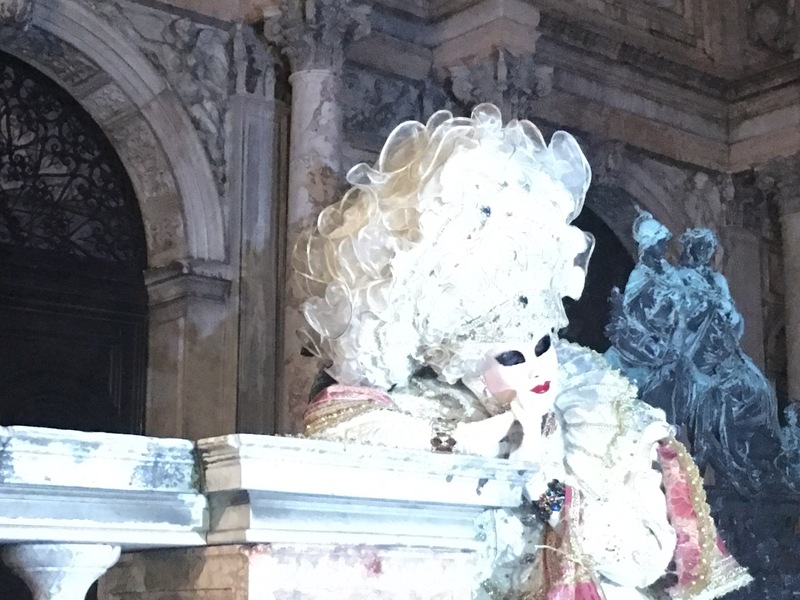 The beautiful mysterious faces set in the romantic environment of Venice . My friend said it was as if we were all part of one big play acting different parts. Isn’t that what we are in life? What part are you playing today?